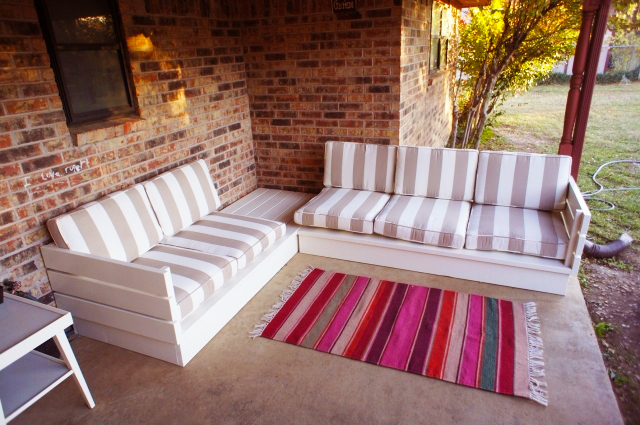 From various kinds of furniture which people should have in the living room, there is no question that sofa must be the most important thing. 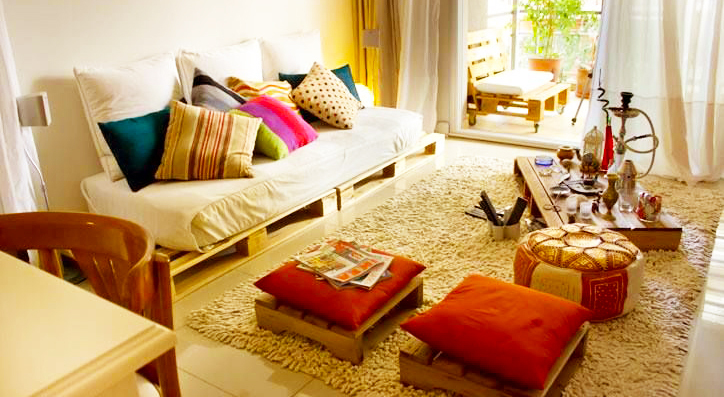 Sofa will support the comfort in the living room greatly. 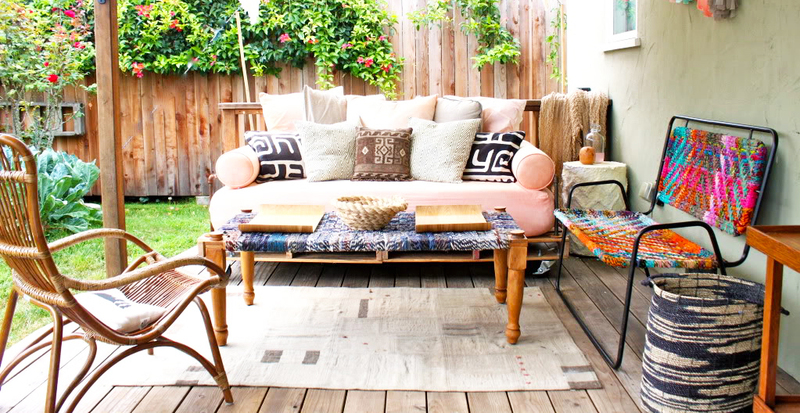 It means that if people can have comfortable and beautiful sofa in their living room, they will be able to enjoy their time more in this space. 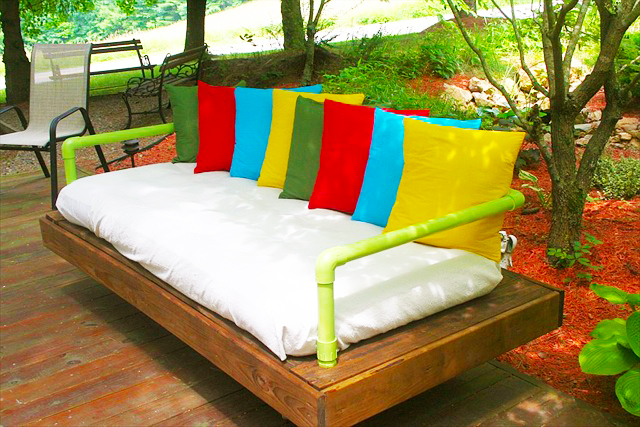 Unfortunately, the price of sofa at the store can be very expensive. 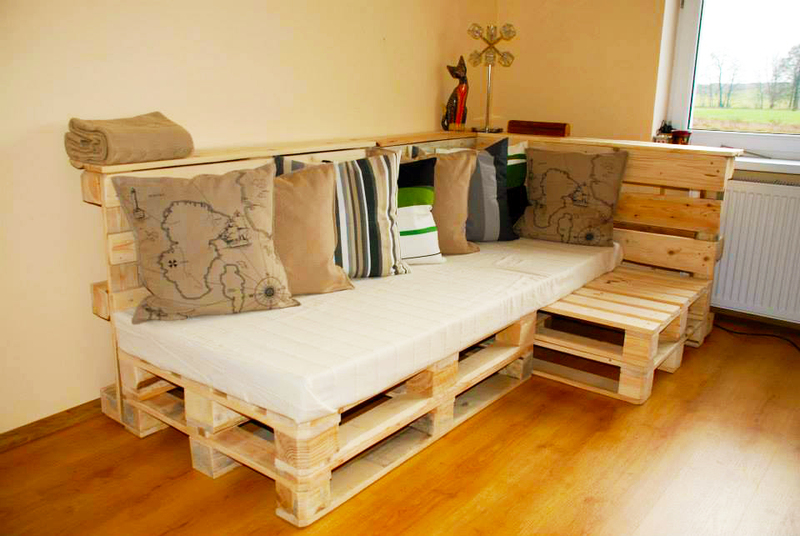 That is why people consider using the DIY project for creating comfortable sofa for their living room. 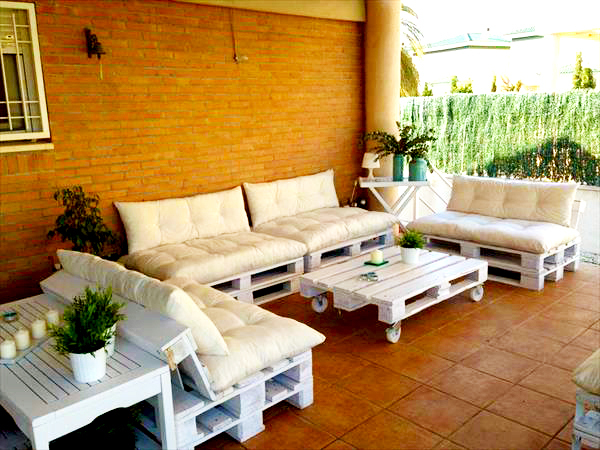 Pallet is used for the material and here are the great ideas which can be applied. 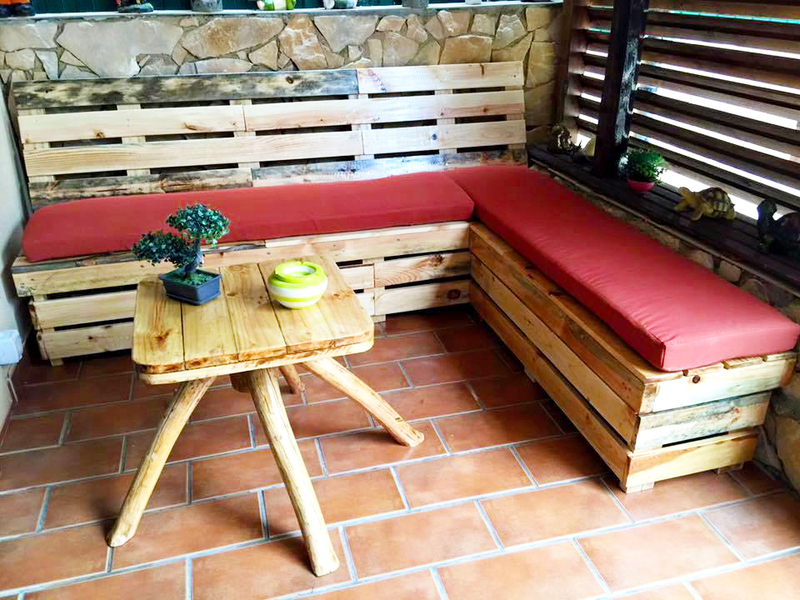 Even though the sofa is made from pallet, it does not mean that people will not be able to get the beautiful seating place in their living room. 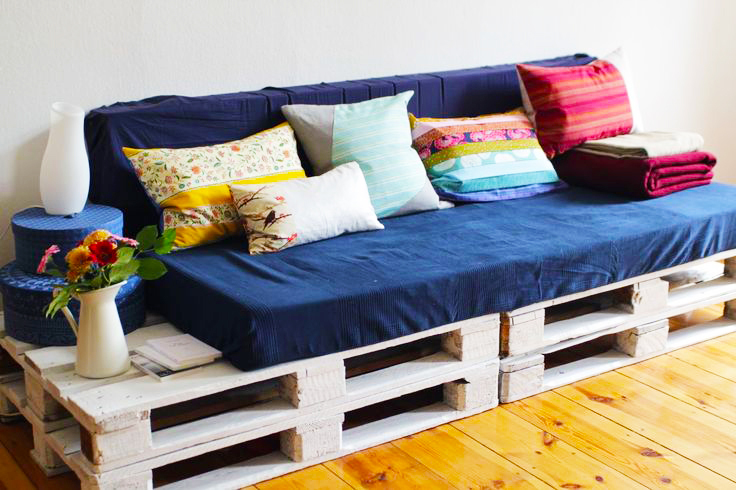 The pallet can be made into cute sofa. 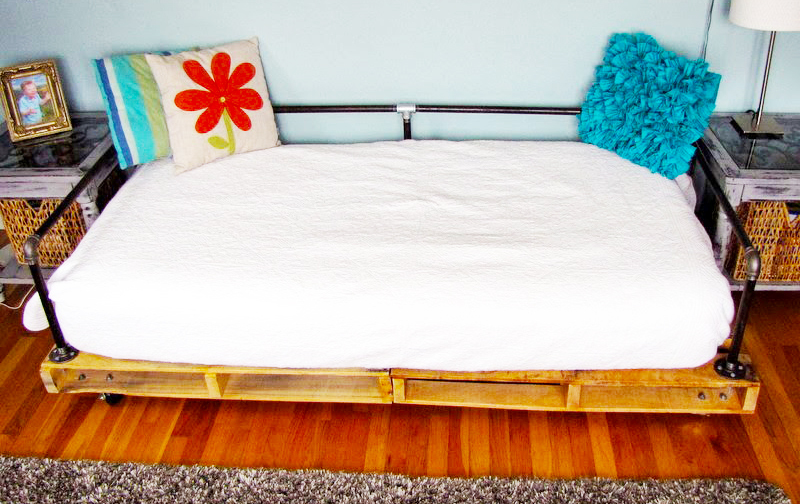 They can try to make it from the plastic pallet. It must be cut in half. 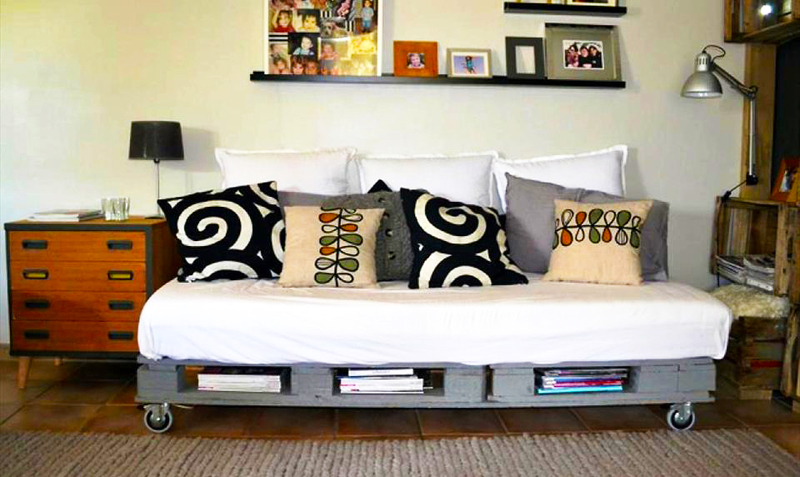 The stability of the sofa can be added with the plates as well as legs from the stainless steel. 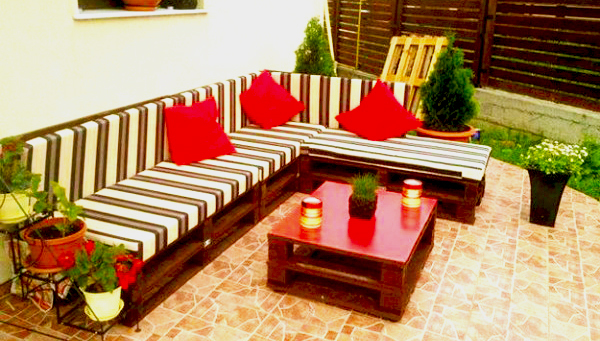 To add the comfort, people only need to add the cushions and they will be able to enjoy the cute and comfortable sofa in the living room. People might be shocked with the price of multipurpose furniture which is very important investment for modern living place. 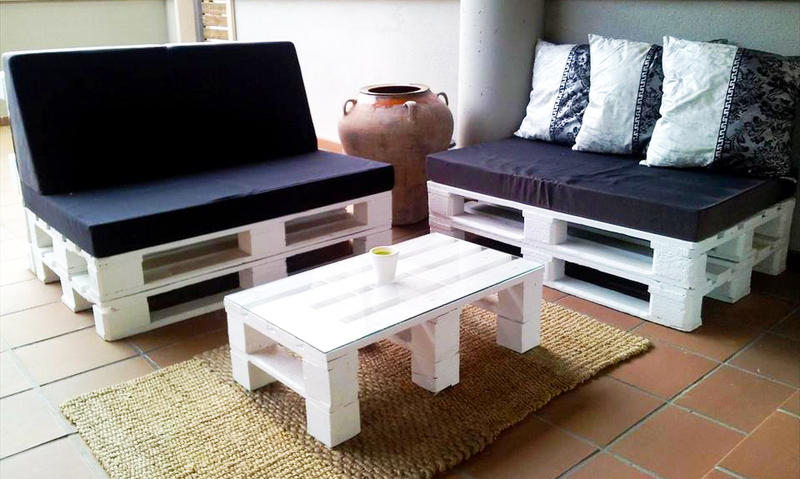 However, they can make it cheap and affordable by making it from the wood pallet. 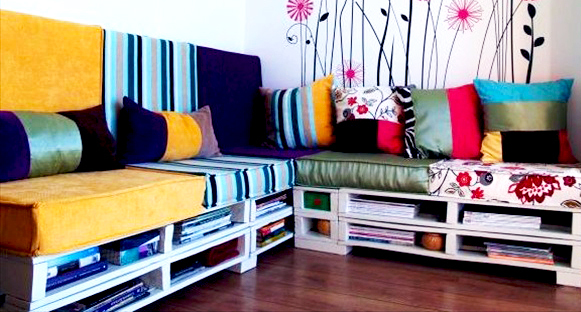 They can make more than just common sofa because it can also be used as built in storage. 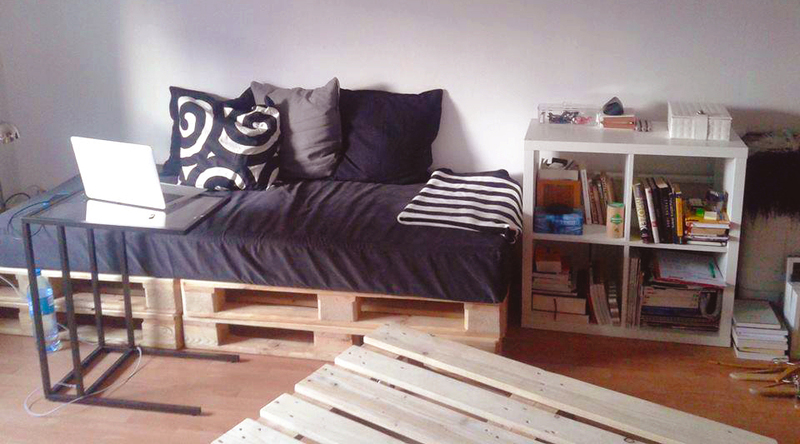 They should prepare six wooden pallets which are painted finely. 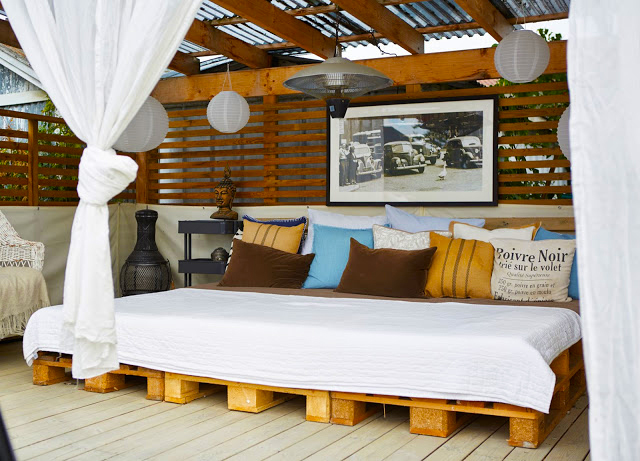 Upholstered foam pillows must be used for covering the wood pallet. 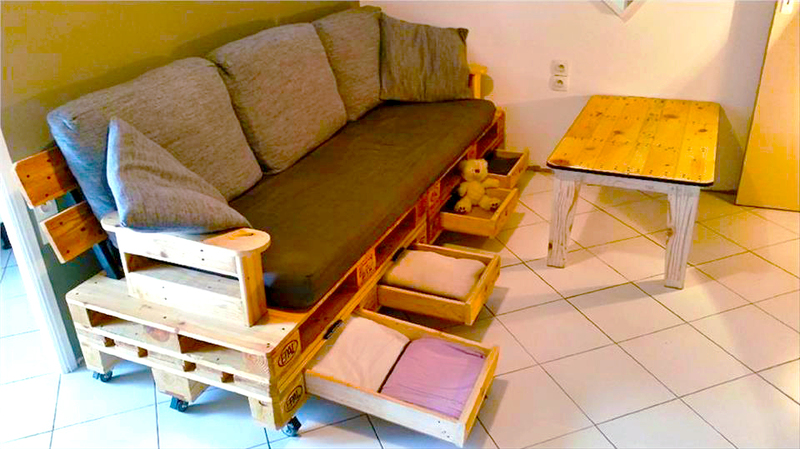 The built in storage can be found since the base of the sofa was made of two levels of pallet, it can be used for storing small things such as magazines or books. 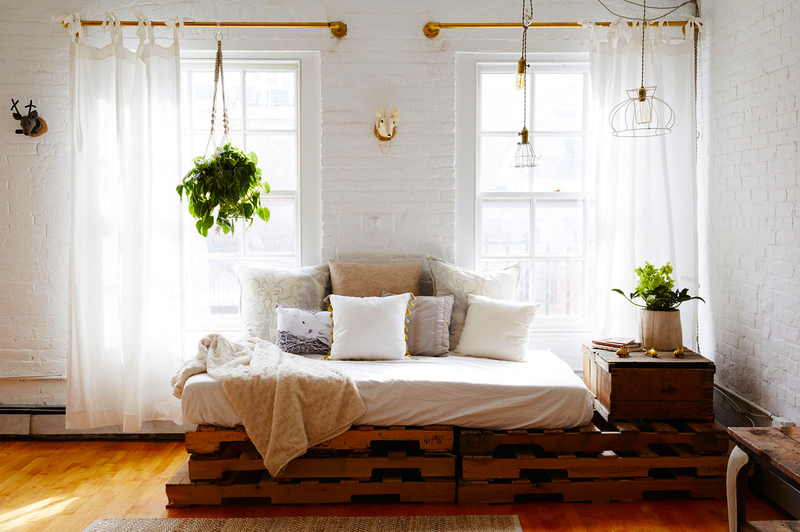 Extra bed will always be a huge problem for anyone who is living in a small house but there is no need to worry because the extra bed can be found by making day bed from pallet. It is easy and cheap. All that people have to do is just stacking pallets on top of each other. 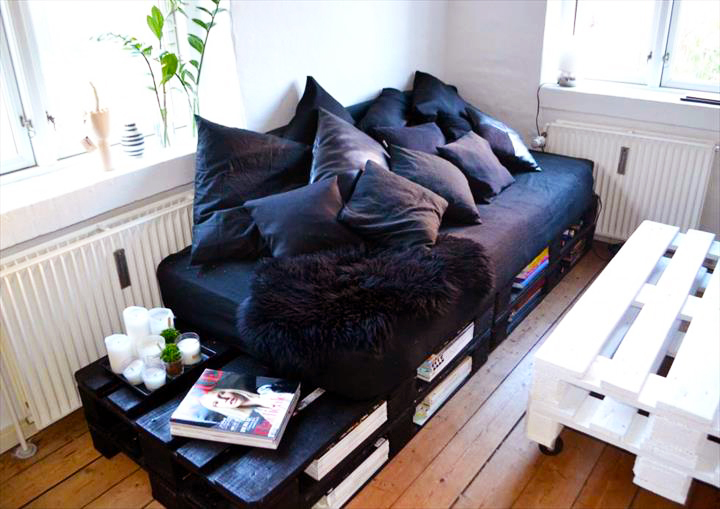 It must be secured first before they can add the comfortable mattress on the top of the pallets. 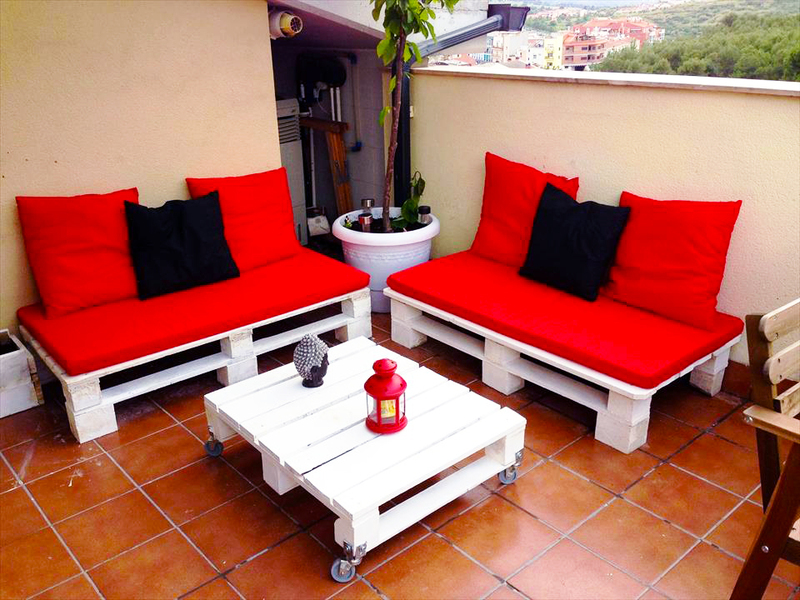 It must be great to create useful, comfortable and safe furniture from the wooden shipping pallets. 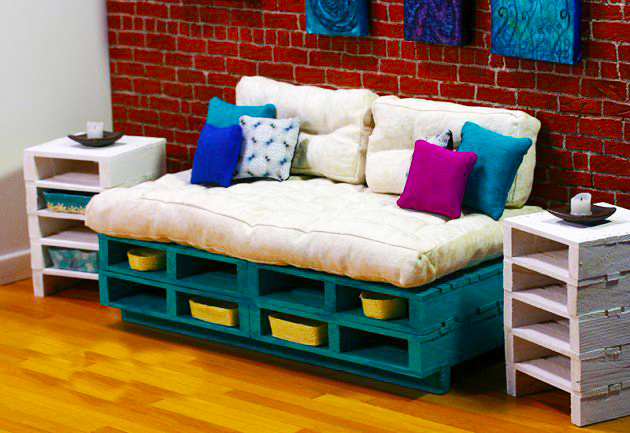 Well, that is sofa ideas from pallet. Hopefully, this article can helpful for the readers. Thank you for visit our blog. Do not forget to share this article for helpful the others readers.